Buy three pairs of classic 5As and get a pair of 5A barrel-tipped sticks for free. 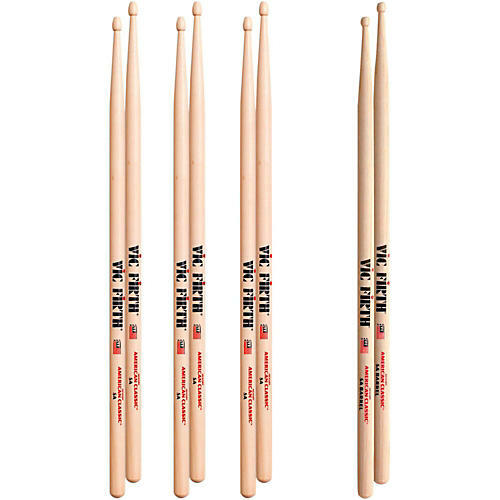 For a limited time, buy a 3-pack of Vic Firth 5A sticks get a bonus pair of 5A barrel-tipped sticks. Vic Firth's Classic 5A are an American hickory stick with a teardrop tip that is ideal for orchestral work light rock and practice. The 5B barrel-tipped stick offer a more focused, broad tone and a quick taper.